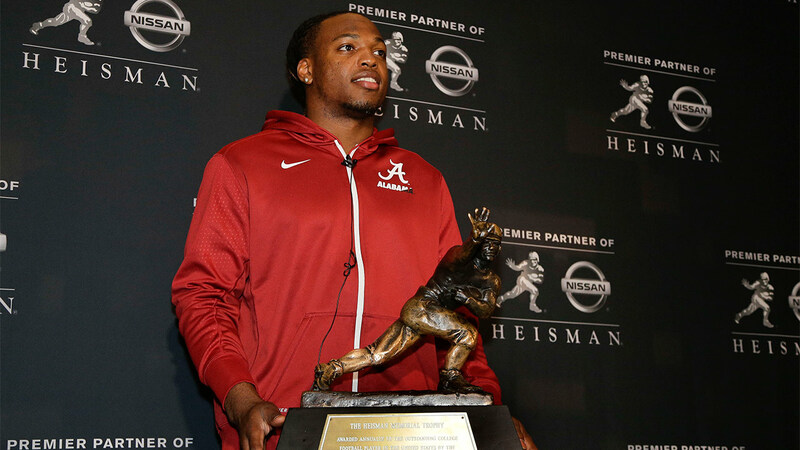 NEW YORK -- Derrick Henry has won the Heisman Trophy, becoming the second Alabama player to receive college football's most prestigious player of the year award. The Crimson Tide's super-sized tailback is just the third running back to take the Heisman in the past 16 years. The only other Alabama player to win the Heisman was Mark Ingram, who was also the last running back to win the trophy in 2009. Stanford's do-it-all running back Christian McCaffrey was the runner-up. Deshaun Watson, quarterback of No. 1 Clemson, finished third. The 242-pound Henry broke Herschel Walker's Southeastern Conference record with 1,986 yards rushing and matched an SEC mark with 23 touchdowns, leading No. 2 Alabama to the College Football Playoff. The Tide (12-1) plays Michigan State in the Cotton Bowl on Dec. 31.